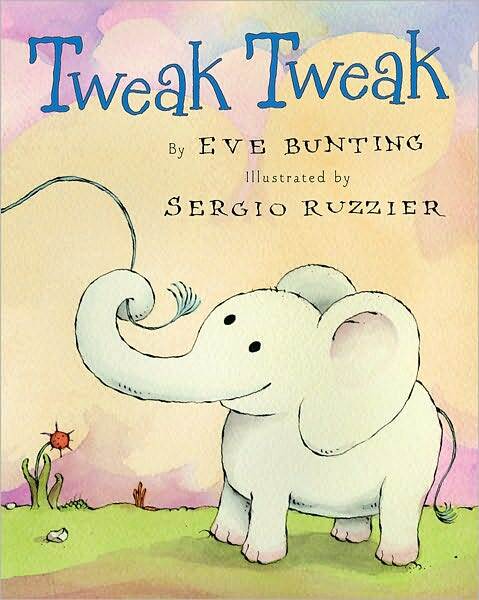 I have wanted to do an elephant themed storytime for ages! I was going to save this for warmer months, but then I thought that a safari during winter is just what we need to warm up during this cold month. 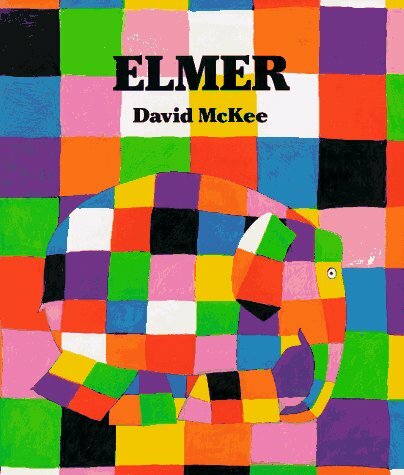 Elmer is a very colorful, patchwork elephant who feels out of place among his herd of gray elephants. One day he sneaks away and rolls around in gray berry juice to turn himself gray. When he returns to his heard, however, they all think that he’s playing a joke. In the end, Elmer learns to accept himself. One elephant, went out to play. He had such, enormous fun. A mama elephant and a baby elephant go for a walk and learn about what other animals do and what elephants do. This book is filled with charming, pastel-colored illustrations, and it presents opportunities for movement (stomp, jump, pretend to swim, etc.) as well as opportunities for discussion (what else do monkeys do?). 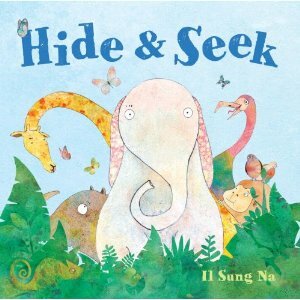 In this picture book, the elephant counts as all the other jungle animals go hide. I’m a big Il Sung Na fan! 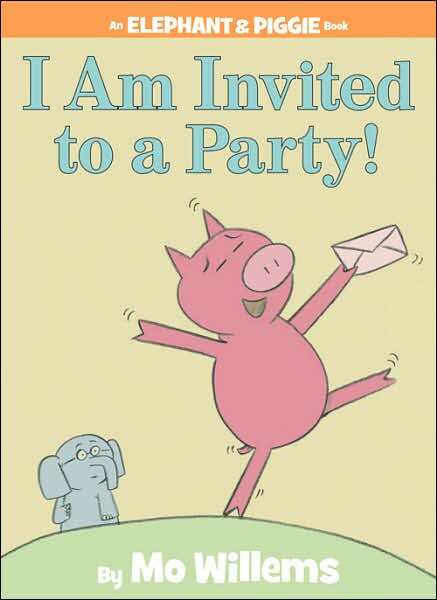 I read his books in all of my storytimes (Babygarten, Toddler Time and Preschool Storytime). They’re short, lovely, and visually stunning! This one is no exception. Two little elephants, standing in a row. Two little trunks, waving hello. 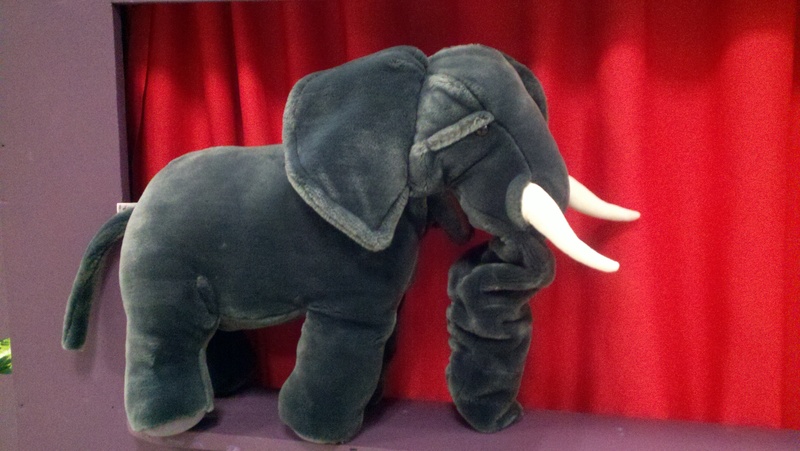 One little elephant, standing in a row. One little trunk, waving hello. This was a great storytime! The children seemed really into the books, and they loved our extension activities. One little boy came up to me at the end of storytime and told me that he thought the puppet show was really funny. I love getting feedback from the kids! 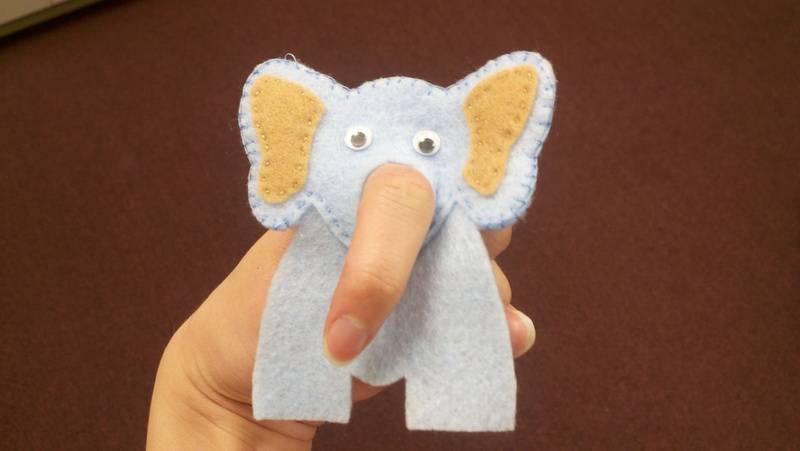 That elephant finger puppet is just the cutest thing in the whole world, and I love the rhyme too! Thanks for sharing! Cute! 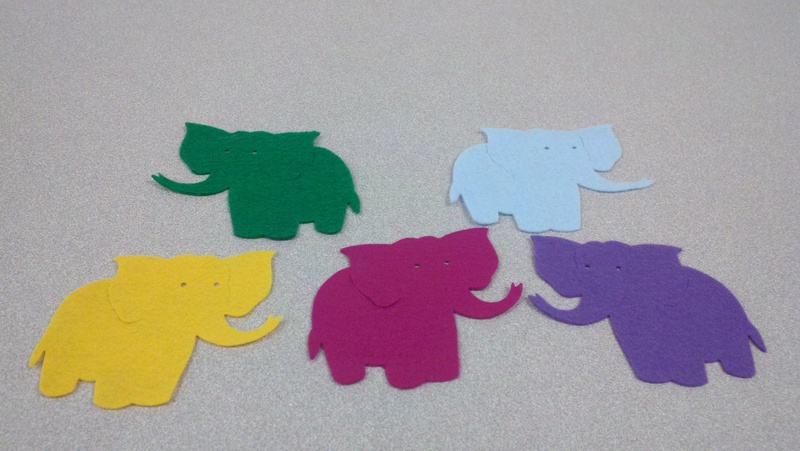 Do you have the skit for the Elephants puppet show? Thanks!